Banners are an excellent way to get your message noticed! They come in a variety of sizes and can be seen from far distances by large amounts of people. 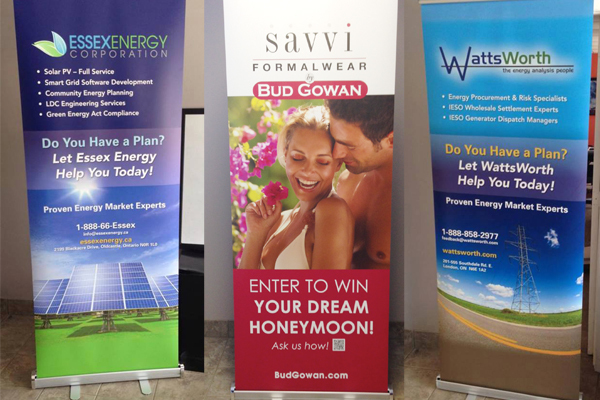 Banners are great to use for special events, store fronts and large parties!